This post explains all the different ways you can read and listen to the sermons given by Pastor Roger Roberts and visiting preachers at IBC Brussels. It even includes tips how to download sermons onto your mp3 player. It also includes a link to an interesting article on the best way (actually 6 best ways!) to listen to a sermon and get the most out of it. The complete sermon text as a PDF – including extra notes, references and a list of questions suitable for private Bible study or a homegroup discussion. Listen: click this to listen to the sermon in the audio player which is built into the website. However, what if you want to listen to the sermon elsewhere – on your bike, in the car, in the gym, while walking or jogging etc? If this is what you want to do, you need to select Download. 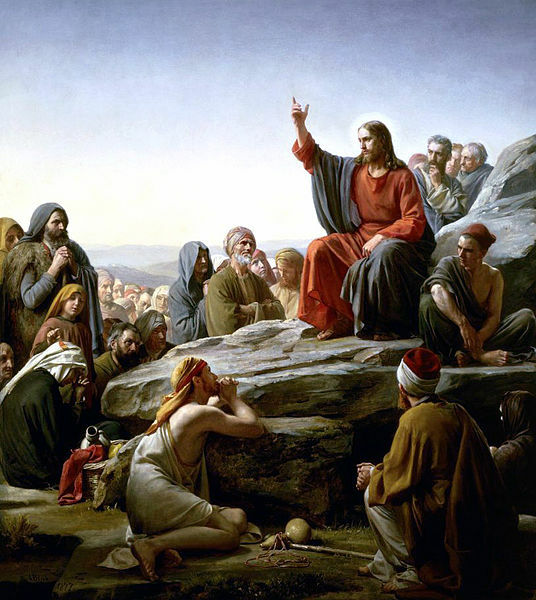 Click this to download the audio file of the sermon to your computer. You can then put it on your mp3 player to listen to the sermon wherever and whenever you want to. If you click this button, you will be sent to a page where you can add the IBC podcast to iTunes. Just click on “View in iTunes” to see our podcast in the iTunes Podcast Directory. You will then be able to subscribe to the podcast, which will allow iTunes to automatically download new sermons every week. You may also use iTunes to automatically transfer new episodes to your iPod. Don’t have iTunes? Don’t worry, our podcast also works with other media players (e.g. Winamp) and mp3 devices (e.g. Android phones, mp3 players etc.). You will however need to tell your software or device how to find our podcast. If you click this button, you will be taken to our feed, which is what your software needs. Copy the address (http://hosted.ibcbrussels.org/IBC_podcast.xml) and paste it in the appropriate place in your software. We hope you will take full advantage of these different ways to read, listen to, study and meditate on the sermons given at IBC Brussels. When we have time, we intend to add the sermons preached at IBC prior to January 2011. And finally, here’s an interesting article that will give us all some valuable tips on how to make best use of a sermon. It’s a privilege to share these sermons, and I welcome any comments or questions as we search the riches of the Word together. Thank you very much for these very useful tips!